You might remember a while back some of our researchers in Antarctica were greeted by a cute patoot little penguin when he jumped up onto their boat. If you’ve been living under an iceberg and missed it, here’s a refresher. Now that the researchers are back on home soil we thought we’d ask them about what it’s like to work in Antarctica. Despite being incredibly beautiful, full of adorable wildlife and practically untouched, it’s also a very harsh environment. 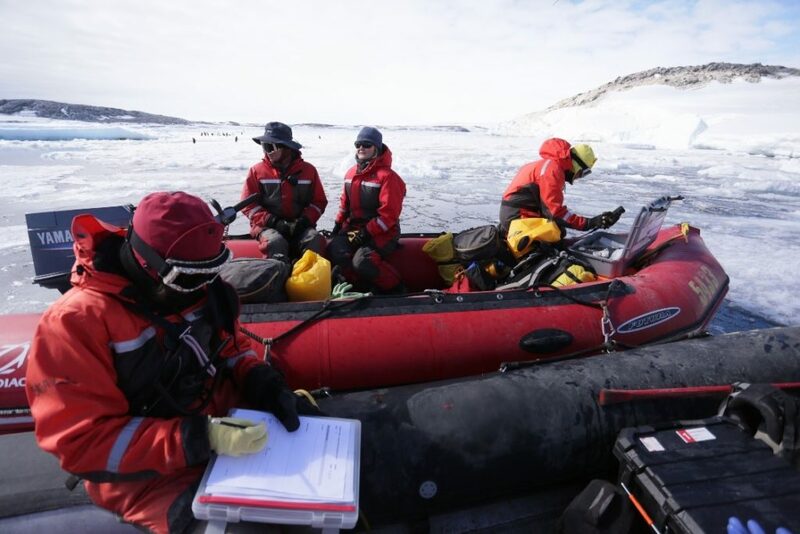 Together with the Australian Antarctic Division and University of Wollongong, our scientists braved the cold to work on some very important environmental management research. One of the benefits of research in the Antarctic environment is the ice. It literally captures and freezes information over time that can give us a picture of the past. This is critical for protecting such a fragile environment but it can also help us establish a base line for other research. CO2 trapped inside ice can give us an indication of how much CO2 there might have been in the atmosphere thousands of years ago so that we can see how much it’s increased even before we started recording that data. But conducting research on the Earth’s southern-most continent can be extremely challenging for scientists. The biggest challenge, one of the researchers Darren Koppel told us, is the unpredictability of Antarctica. Antarctica is the coldest, windiest and driest continent and contains 90 percent of all of the ice on Earth. And ice is always moving, breaking, melting, refreezing and flowing. “When we first arrived we had hoped to hit the ground running and get on the water to deploy our monitoring equipment but we had to wait three weeks for the sea ice to clear from the wharf,” he said. Darren and the team are looking at contaminants contained in the ice, soil and water in the region. Contesting with the elements is obviously a big task. The weather conditions can prevent the team from working which can drag out expeditions. 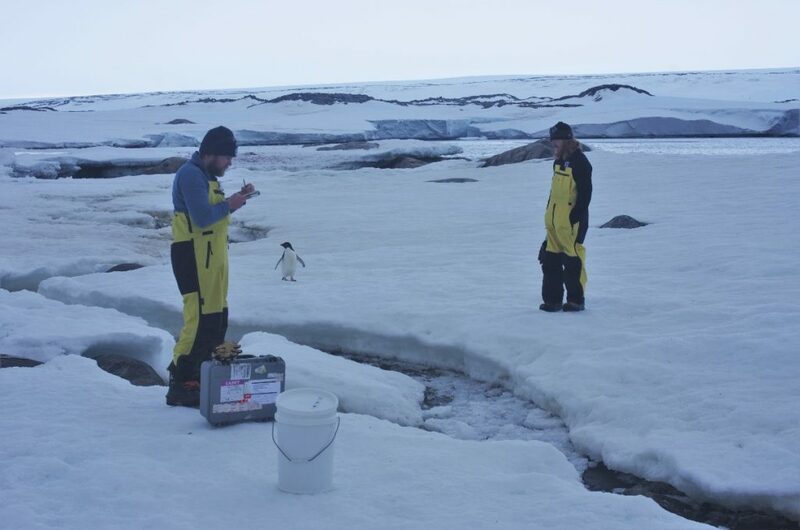 Occasionally Darren and the crew had to hunt for their equipment which are attached to moorings, because they get picked up and dragged around by floating icebergs. Collecting samples requires a hiking backpack of personal protective clothing and survival equipment (~12kg each) in case the weather turns bad and the scientists are stuck out in the field. “There’s no quick journeys out, everything is carefully planned and monitored to be as safe as possible. 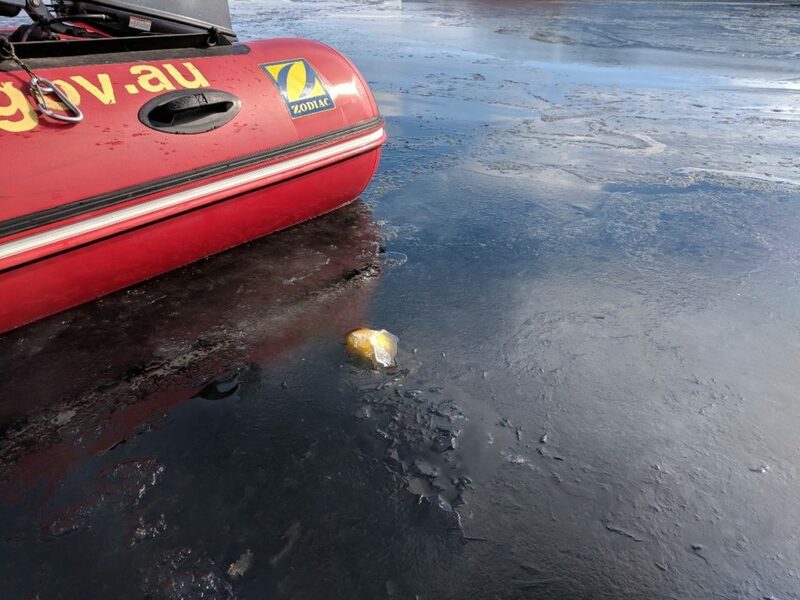 There’s always a communications officer checking in and they we have a field officer with experience in this sort of landscape to keep us safe from breaking ice or crevasses,” Darren said. Working in Antarctica is also logistically intensive. It’s the most remote and forbidding stretch of wilderness in the world, more difficult to reach than nearly anywhere else on the planet. “We had to send our equipment down by plane or by boat. Then this meant that each piece of equipment arrived at a different time so a lot of planning went into what was needed immediately versus what we could wait on,” Darren said. Darren admitted that the scenery was pretty incredible. A bright white mass of ice stretching out as far as the eye can see. Or unbelievably massive sea ice floating majestically on the water. 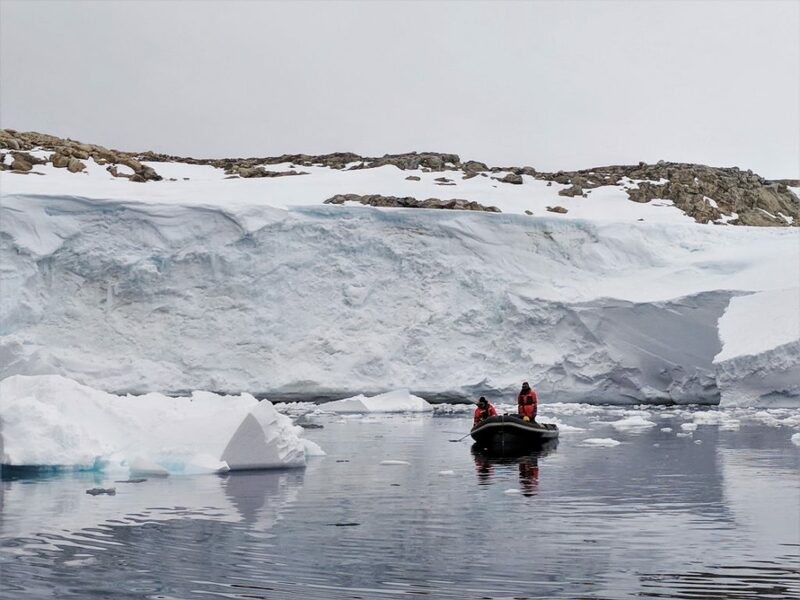 “Any time I find myself getting frustrated with wet gloves, equipment that’s not working, the 1000 layers of clothing we have on, I can take a breath and look at the icebergs or penguins” he said. While it can be tough from a research perspective it can also be an extraordinarily rewarding, once-in-a-lifetime opportunity. What the shell: how much is too much plastic for sea turtles? How many people does it take to build a nest? I loved being down there, if only for a couple of weeks.